Companions in Magick” book by Silver Raven Wolf. Angel: love, kind, supportive, real, flair, creative, impressive, light, cuddle, bright, wings, energy, colour, lollipop, sweet, firm, cheery, mega, mother mary, michael, all in one, solar flare, geometric, purple, patterns, torch, light, caring, friendly, god, fire, seraphim, verbatim, channel, ok, worry free, giving, tenacious, seraphinite, green, healing, blue, calm, red, passion, story. Universe: tall beings, surround, guide, god, support, one, kryon, history, dna, ancestors, earth, mother mary, guidance, love, black hole, enormous, vast, expanse, forever yours, blue, milky way, life support, healing, nurse, patients, important, lesson, mine, pillars, alone, together, human, experience, nothing stays the same, vast, flowers. (some repetitive answers but it means it’s on your mind and the angels are trying to help you come to terms with it.). 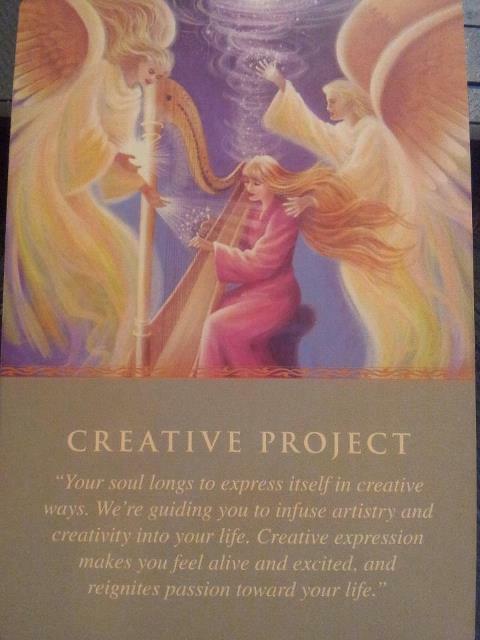 Message: “…art, get back to it and be creative stacey – point of creation, fertility – back in tune. surround yourself with love and be yourself. be happy with who you are, for we are too. kindness and fathomability. seek and you a shall find enormous support. feel fine and breathe. soul me, soul you, trilogy the key, be happy and free. let go, forgive. see the world for what it really is – not negative but positives, look deeper into eyes, peace. rest. Throughout the exercise, this card was in my head…. 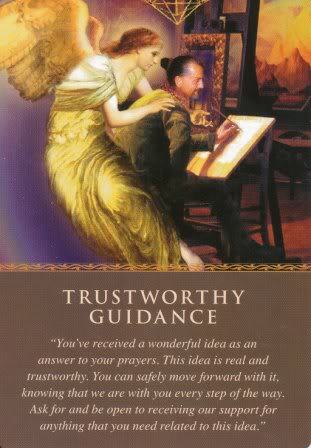 And this is the card i drew when I asked the angels what other message they had for me tonight…=)…. Previous Previous post: My Great Spirit Told Me meditation CD………..